I thought ˈfɪsəlɪs. Like chrysalis: ˈkrɪsəlɪs. That OED entry is a great argument for Wikipedia-style diaphonemic IPA transcriptions. The US and GB pronunciations are basically identical. Agreed, and I'm still perplexed by their decision to start transcribing the PRICE vowel as /ʌɪ/. I assume they were trying to evoke an Estuary-style [ɑɪ], but raised-onset [ʌɪ] seems pretty rare in England outside of the far southwestern and northeastern parts of the country. See section 7 of this. It seems to me that my usual pronunciation of the PRICE diphthong has a starting point slightly less open than my TRAP/BATH [a], somewhere in the [ɐ] area and not so different from some pronunciations of STRUT (though not mine), and I wonder whether it's a pronunciation like that Upton's choice was based on. 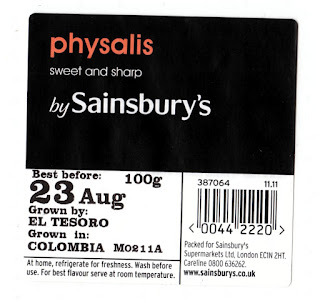 As for physalis, like Duchesse I think what I've heard is ˈfɪsəlɪs. I may even have heard it with z instead of the first s.
Joanna Przedlacka transcribed one of the PRICE vowel variants of her Upper Class (U) RP speaker as near [ʌɪ]* in this 2001 paper and one of the PRICE variants of her Mainstream (M) RP speaker as [ɑɪ] with a fronted and raised onset. I'm not saying that this means /ʌɪ/ is a good choice for a phonemic transcription, however. I'm just saying that some linguists hear the onset of the RP PRICE vowel as being in the area of [ʌ] some of the time FWIW. * This variant had fronting and lowering diacritics underneath it, but these aren't working for me at the moment. The other variant for "U" was [ɑɪ] with a fronted and raised onset. Later in the paper she says that back onsets like these as a realization of PRICE are characteristic of "Refined RP". Wouldn't fronting and lowering [ʌ], and fronting and raising [ɑ], mean (almost) the same thing? The back equivalent of /æ/, a near-open vowel. On a personal note, I do hear the RP PRICE vowel as having a considerably back onset, more retracted than the central /ä/. Oh, the confusion! You all wrote clearly, but the mess created by the wrong use of these symbols did damage. What is [ʌ] here? Judging by the phonetic brackets, it must be a lower mid back vowel. Which was then fronted and lowered, so it can be any of the things described by either , ɑ or a, with appropriate diacritics or without them for a broader transcription. Noted that also the ɜ symbol can also be used, given that it represents a lower-mid central unrounded vowel. Nothing short of a vowel chart would do. Furthermore, if Daniel Jones described in his books what is now U-RP, an older and now seen as refined pronunciation, then for him the PRICE vowel has almost a fully front starting point. Which would mean that the a symbol suits it almost perfectly. Note also that her paper completely differs from John Wells's account in Accents of English: he clearly writes that both PRICE and MOUTH have a 'relatively front starting point', /aɪ/ fronter than /aʊ/. Przedlacka's speakers weren't born when Accents of English was published. Which makes her article wrong in another sense. U-RP today doesn't exist. A refined, upper-class speech of today as a coherent and recognizable entity is not existent. At all? Or among people under a certain age? I suspect that in fact there is still something that can be identified as U-RP, even among younger people, and that Przedlacka's "U" speaker was a reasonable example. Of course, if there is, then it has changed from mid 20th century U-RP. They aren't a coherent group. Just take a look at the Princes William and Harry. They don't speak the same way. Then bring in their 'crew' and you've got Babel. 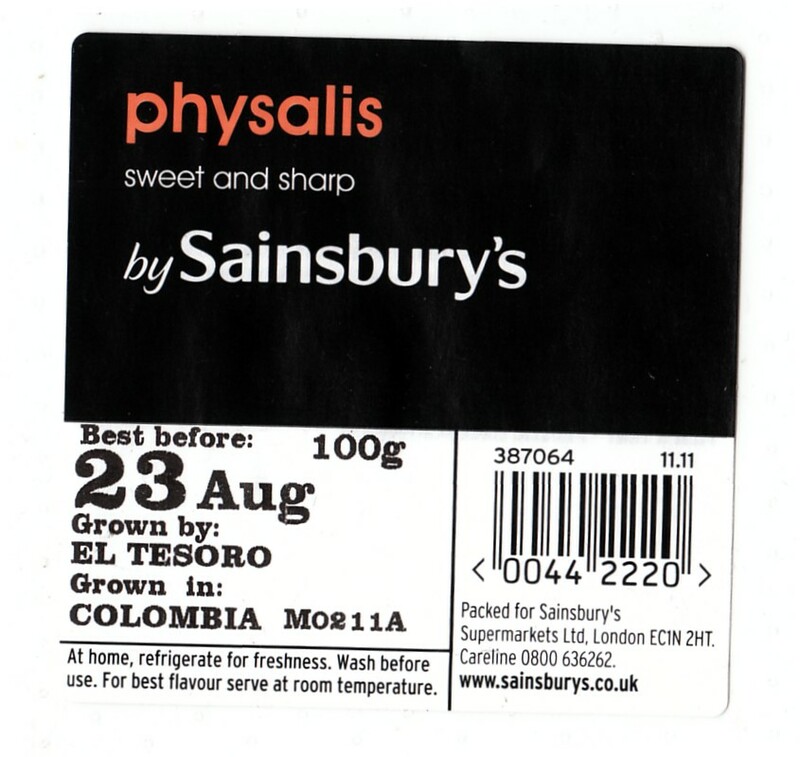 The farmers who grow it are from Columbia so they'd probably pronounce it in Colombian Spanish. ...and down here in Colombia they call these fruits "uchuva(s)". I had no idea they were being sold as Cape Gooseberries in England! I always thought of these as one of those quintessentially Colombian fruits for which I don't even know an English name (see also: lulo, borojó, noni, ...). Imagine my surprise at seeing the picture of an uchuva at the bottom of this post. In Egypt it's called lady in a mosquito net. How do you pronounce that in MSA? My memory may be faulty and my pronunciation faultier, but I'd say ˈsɪttə fɪ nɑmuˈsejə. That would be Egyptian Colloquial — I don't know whether the name exists in Modern Standard. Thank you! I think the Arabic name suits it very well. But I have no idea how come it exists in Egypt given that it's native to the Americas. The mooli is known here as the Chinese radish or Japanese radish - or just radish (because the European version, though available, is rarer). 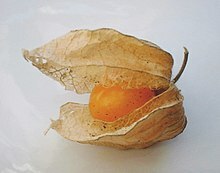 And we also say Cape gooseberry if we call it anything (they only occasionally adorn our gateaux). Best option out of a pronunciation difficulty - avoid the word! Sorry, I should have said that 'here' is Singapore. I didn't know mooli had made its way into mainstream English vocabulary. I've always used raddish or daikon in English, and reserved mooli (Devanāgarī मूली Nasta'līq مولى) exclusively for Hindī-Urdu. I also say /ˈfɪsəlɪs/ for Physalis.